The Kukutali Preserve is Open! This is Kiket Island in northern Skagit Bay with its tiny companion Flagstaff Island on the right. Flagstaff is connected to Kiket by a tombolo or sandspit. 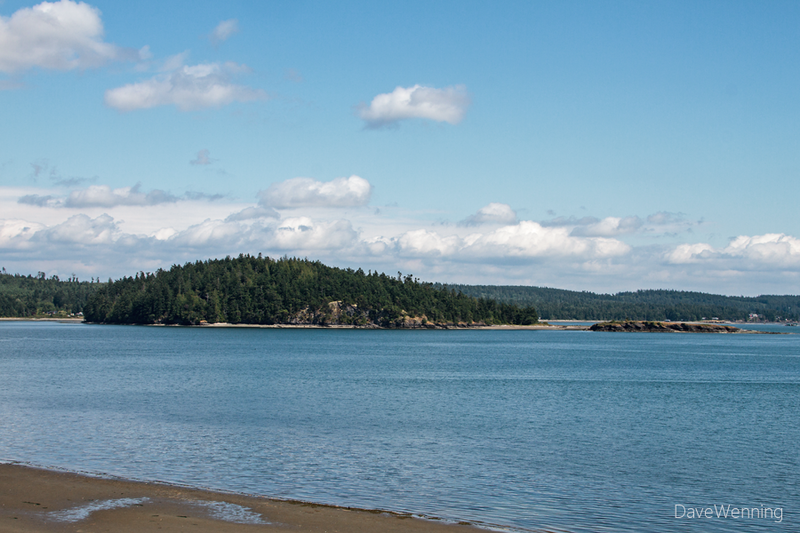 The two islands plus a few acres on the Fidalgo mainland now comprise the Kukutali Preserve. It is owned jointly by the Swinomish Tribal Community and Washington State Parks. For the last three years, visitors were allowed in small guided groups by reservation only. I visited the island three times in 2011 and 2012. As of yesterday, the Preserve is now fully open to the public. Today, I made my first unescorted visit. I was delighted with what I found. A small parking lot sits just off Snee Oosh Road. New landscaping featuring native plants, shrubs and trees has been added here. I came to native plant gardening through trial and error. Lots of error. Bad glacial soil, windy seaside conditions, too much shade and rain shadow drought made for difficult gardening. I had elected to leave the big Douglas and Grand Firs that were growing on the wooded property. Then I tried to grow a traditional garden underneath them. That didn't work at all. It took me a while to figure out I was trying to grow the wrong stuff. I started to take notice of what did grow well. The wild native plants and shrubs that grow all around the area seemed to like it in my yard. Rhododendrons, while not the native ones, did surprisingly well under the firs. Madronas sprang up and a patch of Mahonia nervosa appeared. Salal, Oregon Grape and Nootka Rose grew along the beach. 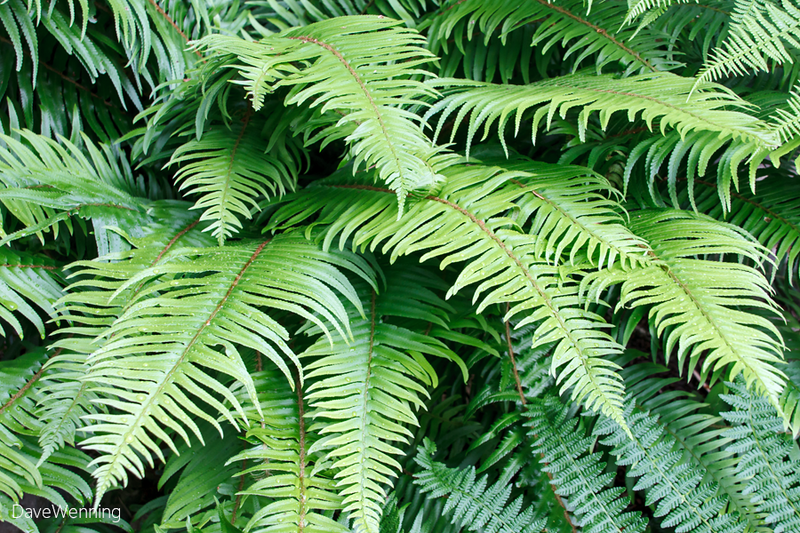 And, of course, there were the ferns. I liked ferns, so I planted more of them and they did well, even in my terrible glacial hardpan soil.